2015 Road Trip Photos #2: Supping on the Shoulders of Giants « Midlife Crisis Crossover! 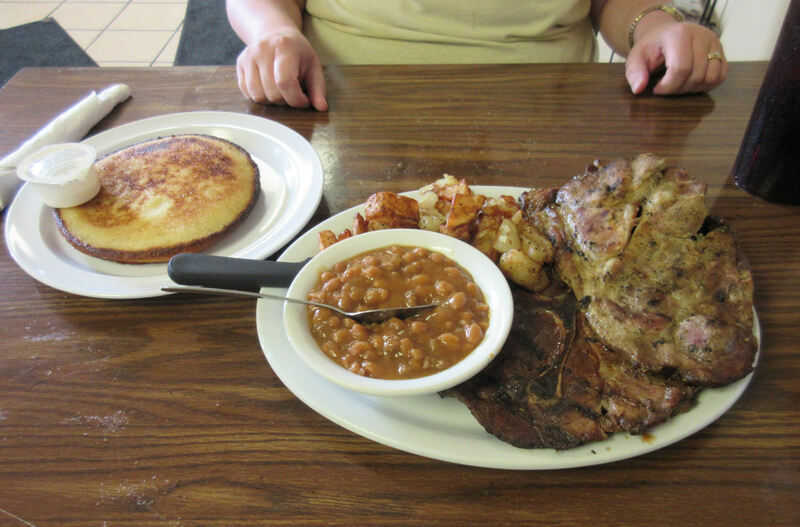 We weren’t ready for lunch by the time we left the Zachary Taylor National Cemetery in Louisville, but we knew I wouldn’t last all the way till Nashville without food. We pressed ahead another hour or so, letting Anne nap for a bit and keeping a lookout for a convenient lunchtime stop that was not a national chain. Interstate exit signs trying to entice us into McDonald’s, Wendy’s, Burger King, Dairy Queen, Subway, and/or Waffle House were a waste of logo paint to my eyes. 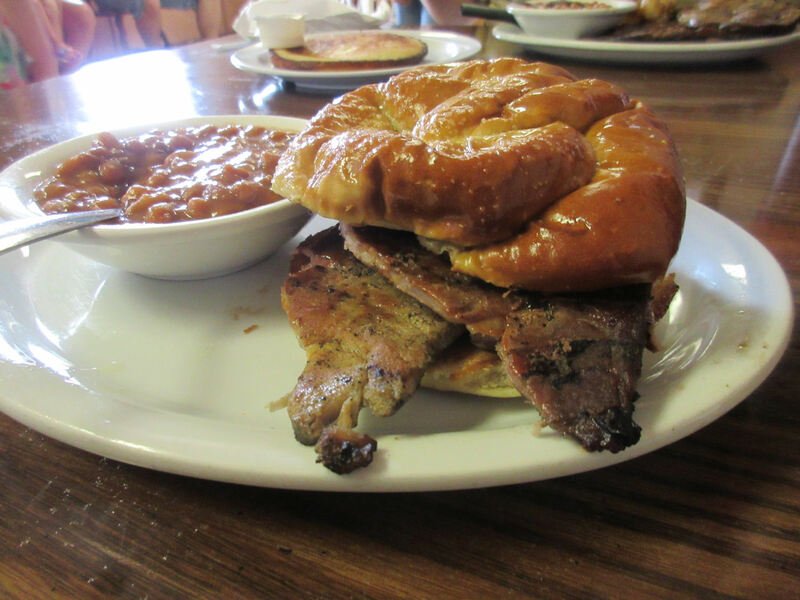 Pictured above is my prize for outstanding achievement in the field of stubbornness: a pork shoulder sandwich on a pretzel-roll bun with barbecue sauce, discovered in a town called Munfordville, population 1600. We’d never heard of the place. All we knew is, right place, right time. Rather than settle for the first indie restaurant we saw from the exit ramp, I cruised down the road a couple miles to compare options. We noted a couple of chains, a Mexican joint, a Chinese buffet, and the obvious winner whose marquee had caught my eye in the first place. 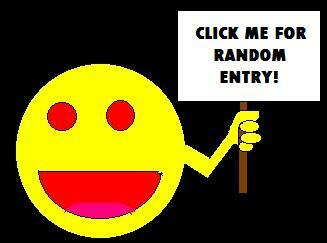 But first: random tourism stops! 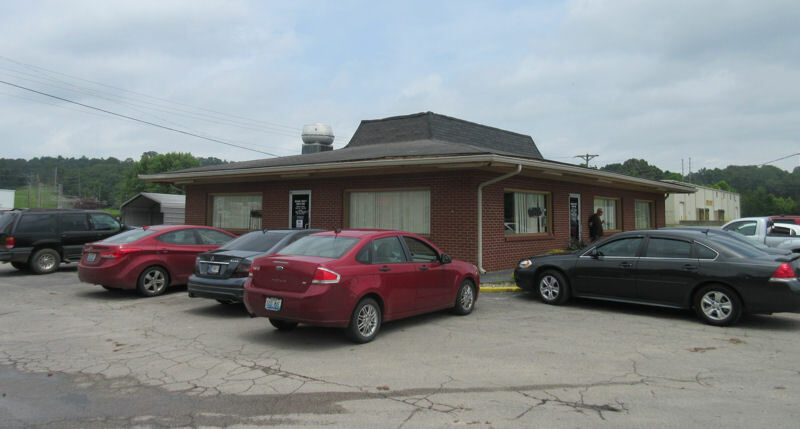 Munfordville is large enough t have its own Welcome Center, but small enough that it’s closed weekends. No luck there, no guidance for us. 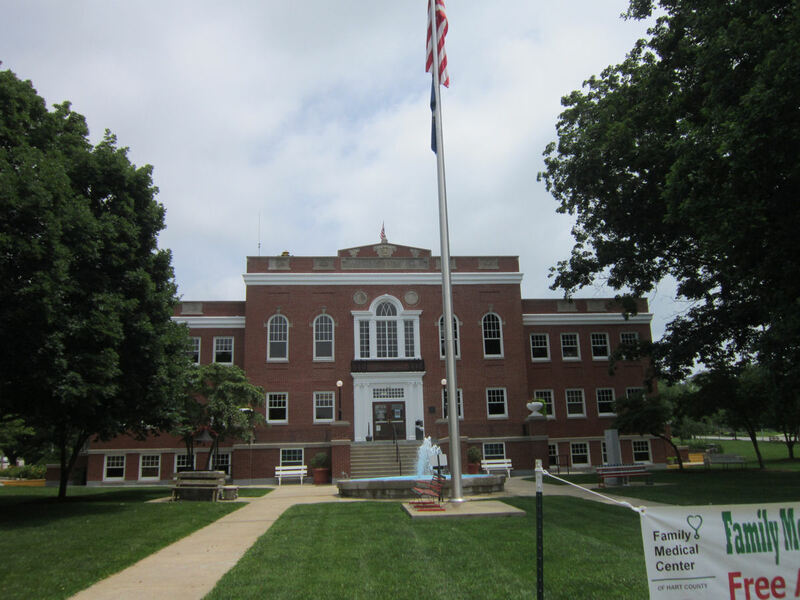 We parked in front of the town courthouse and wandered their main-street area for about a minute or two. The fountain is a listed attraction on their official tourism site, which they’re large enough to maintain. 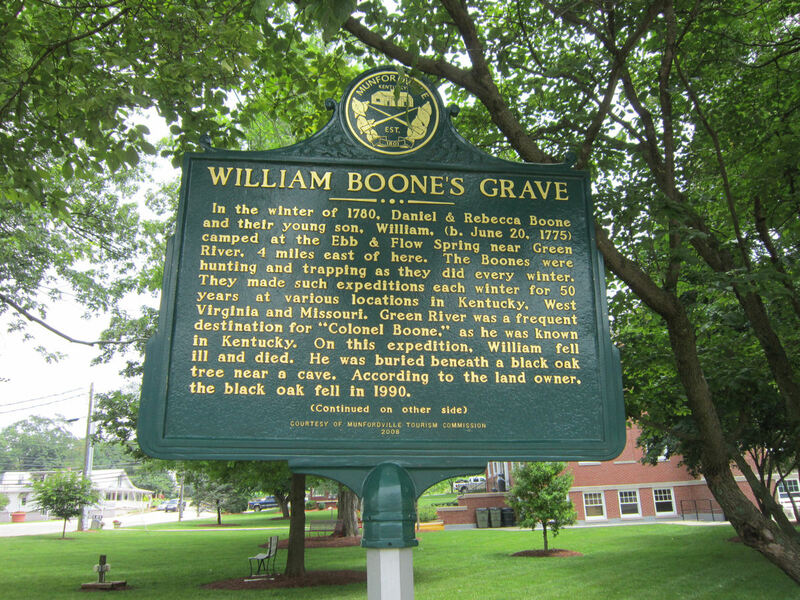 A series of historical markers around the courthouse lawn insist events happened in this very area, such as that time Daniel Boone’s son died here. 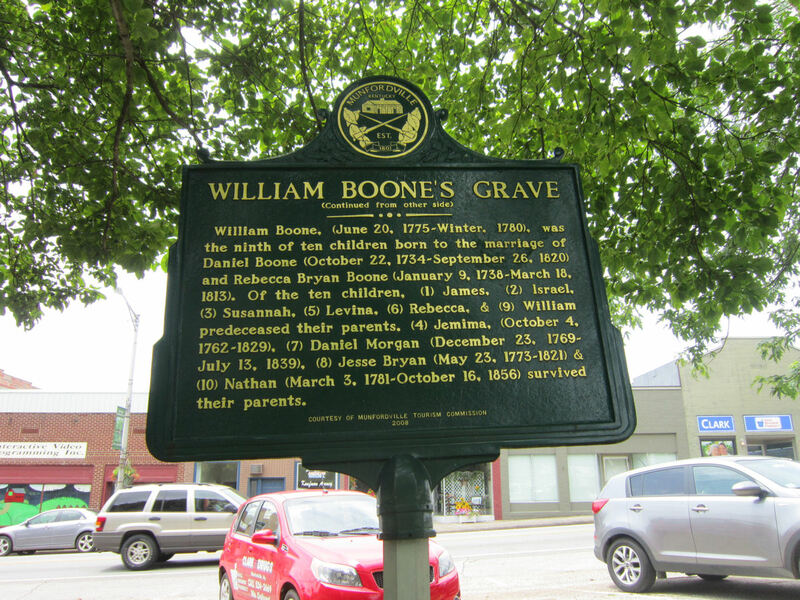 Mr. and Mrs. Boone had nine other children to their credit, but they presumably died in nine other irrelevant towns. How many of those nine kids outlived their parents? The answer might surprise you! 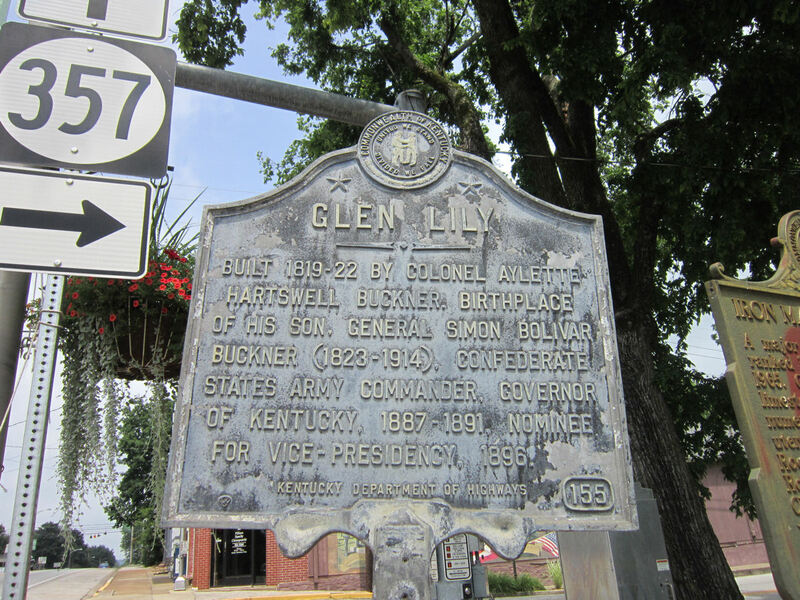 This sign commemorates Glen Lily, childhood home of General Simon Bolivar Buckner, a veteran of the Mexican-American War who later served in the Confederate Army. Two decades after the Civil War he served one term as Governor of Kentucky. His family’s estate was, I guess, around here somewhere. 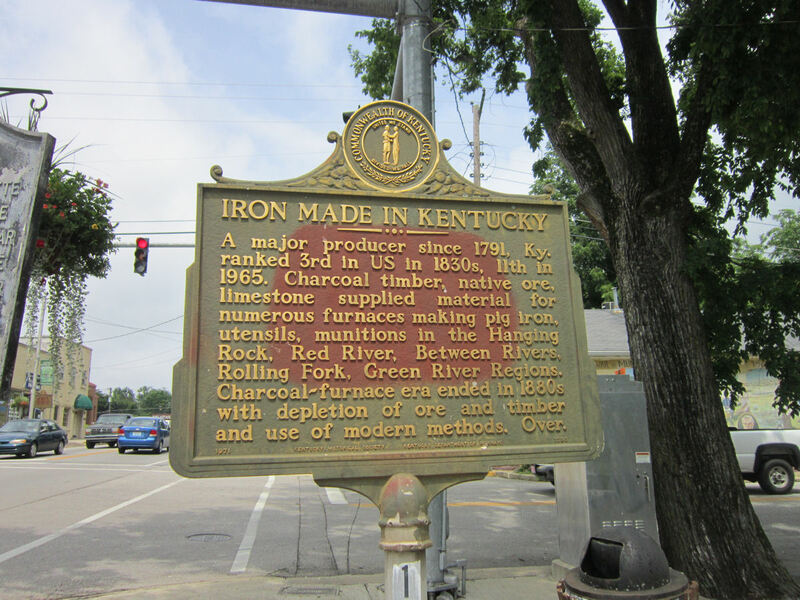 We failed to snap a pic of the other side of this salute to Kentucky iron mining, but I trust it has a happy conclusion for Kentucky in general and Big Iron in particular. Unless “Over” is meant to be a shocking twist ending no one saw coming. Munfordville may have been below our radar our entire lives, but it was large enough to have a Civil War battle named after it. The Battle of Munfordville was a three-day skirmish in which the main prize was a strategic railroad crossing. The South won that one, which might or might not explain its deletion from our school textbooks. 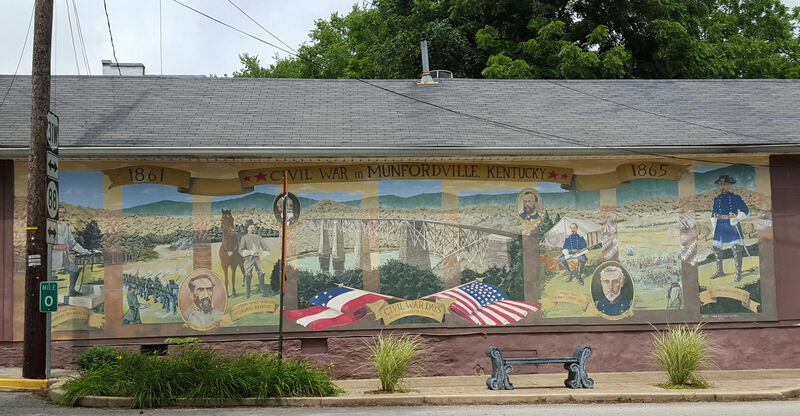 Munfordville was also the first place on our road trip to sport a Confederate flag, and it wouldn’t be the last. We spotted the lone example inside the window of a small shop (general store? thrift store? typewriter repair? couldn’t tell) with an even smaller parking lot. I considered pulling over for a closer look, but changed my mind as we passed by because a pair of older women walked out the door and into the middle of the lot, leaving me no room for surreptitious infiltration. 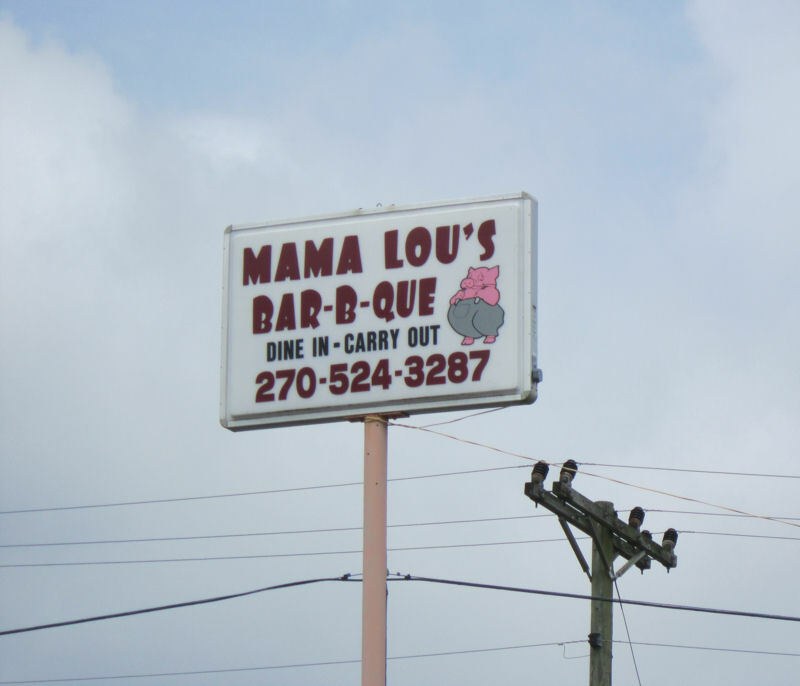 Last stop on our surprise Munfordville tour: lunch at Mama Lou’s Bar-B-Que. The building is simple and unassuming. The interior could use some paint touch-ups. The mismatching tables were apparently acquired from wherever they could find some. On a large mirror in the foyer, 2 Corinthians 3:17 was written in bold, temporary letters: “Where the spirit of the Lord is, there is freedom.” I liked the mirror, but my photo of it was a letdown. 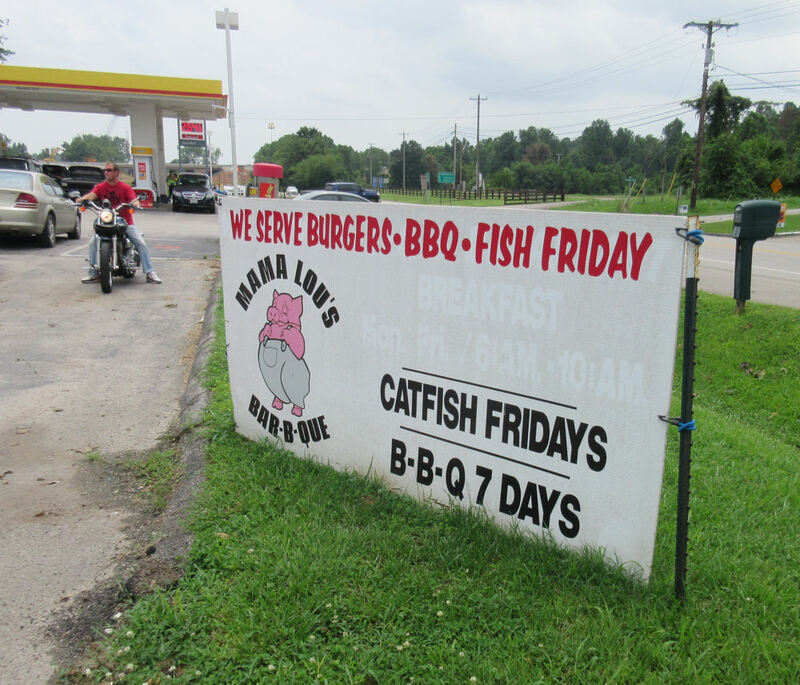 If only we’d arrived twelve hours earlier, we could’ve tried their weekly catfish dinner. Our loss. We were seated and served quickly, arriving just ahead of several families who had to bide their time while we intruders enjoyed our feast. My sandwich was shown above, generous in portion size and spot-on in all the taste criteria that mattered. Mama Lou’s stocks only two kinds of barbecue sauce at every table. I have no idea if either flavor was a secret recipe or a bulk purchase from the nearest Sam’s Club, but I’m not a barbecue connoisseur. They worked for me. Meanwhile, my wife ordered the pork shoulder dinner under the strange assumption that her portion size would be somewhere between modest and just-right. Welcome to the South, honey. Disparity in our meals is a frequent running gag between the two of us. A ridiculous number of times we’ve gone to restaurants where I’ve ordered something uncommon and she’s ordered something ostensibly everyday basic, only to watch the waitstaff bring her a smorgasbord three times the size of mine. My sandwich was perfectly sized for my cravings, but there was no way she could eat the entire body weight of Piglet on her own. I was fond enough of the shoulder that I didn’t mind helping her finish, but it left me no room for dessert. Thus I was denied the chance to find out what “chess pie” is — partly because I was too full to order a slice, and mostly because Munfordville was too small for my phone to find an internet connection and look it up. Interesting post and good pictures! Thanks! We didn’t expect to see so much in such a short stop. You missed the catfish dinner?? Why do you even bother!! I know, right? Maybe we shouldn’t have been quick to dismiss that Chinese buffet. I bet THEY had catfish! Any respectable buffet would serve catfish. You should have ordered the chess pie and taken it with you.